After graduating from UCSB with degrees in Biology and Environmental Studies, I was ready for an adventure and to sharpen by photography skills. An opportunity presented itself to sail with captain and surfer Liz Clark on her Cal-40 from San Diego to Costa Rica. 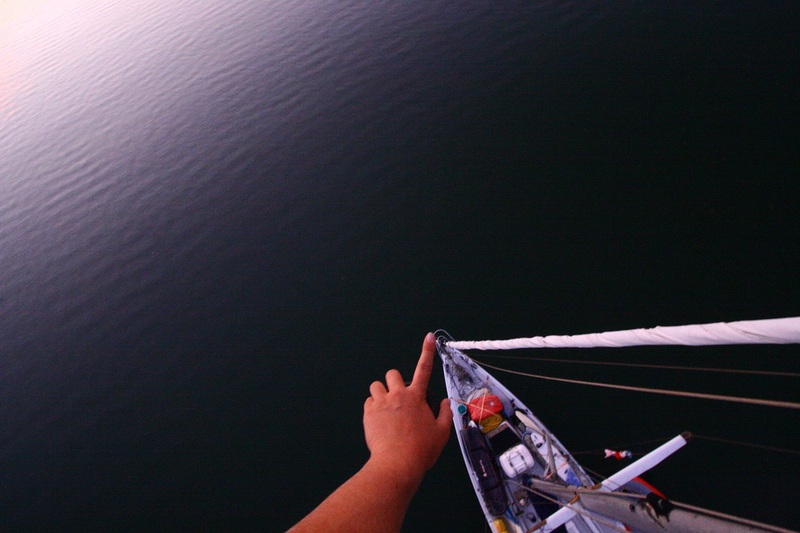 Here I’m in a bosun’s chair at the top of the mast, playing with perspective.